Wholesale Diamonds with Over 29 Years' Experience! We are a family owned diamond wholesaler and jewelry manufacturer. We custom set your loose diamond choice in most any setting style that you like. Just tell our our Gemologist what you wish for and we'll make it at our in-house facility to your exact specifications for the best wholesale price. 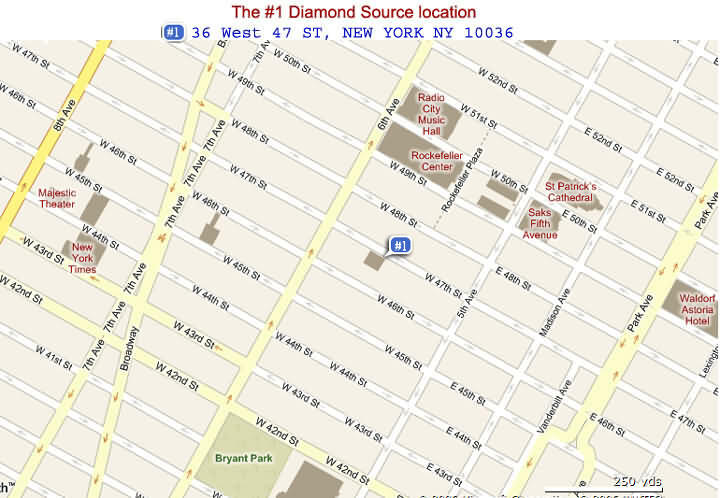 Our main office and factory location is in the NY Diamond District. Why is #1 Diamond source a cut above the rest? • No-Risk Return - Our loose GIA certified diamonds carry a 30-day guarantee. • Vast selection - Over 50,000 high quality certified diamonds at wholesale prices. • Finest Service - Our in-house Gemologist helps you find the perfect lab certified diamond. • Free shipping & appraisal - No cost for insured FedEx® and a detailed insurance appraisal. • Lowest wholesale cost - Selling to the trade since 1991 & online from 1999 with a perfect record. • Conflict free natural diamonds - Guaranteed to originate from ethical, socially responsible sources. "I recently purchased a 5.0 carat engagement ring from #1 diamond source and had a terrific experience. this is a first class reputable business that I can highly recommend. The stone I purchased was appraised at significantly more that I paid. Thanks Lois & Ron"
"...It is rare to find people in the diamond business who take so much joy from simply doing the best job for their customer that anyone could ever do. At some point in the process I was struck by the extraordinary drive shown by you both to not only meet your own high standards but to meet mine as well. 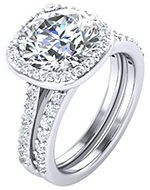 The loose diamond is exquisite, and not simply because it is a GIA graded D Flawless stone..."